Practitioners everywhere have discovered that Lloyd Tables provide unparalleled patient comfort. 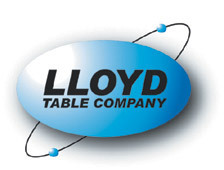 Lloyd Table Company offers you virtually an unlimited choice of options that include their manual and automatic drops available on all sections. Lloyd Tables are built to perform day after day, year after year. Lloyd Table Company has once again risen to the challenge of the most exacting doctor with its 402 Flexion-Elevation table that offers a more effective and comfortable way of adjusting. Eliminate the pain and strain on your back as well as that of your patients. 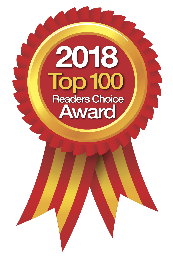 The 402 features a remarkable height range, 24 degrees of flexion, powered axial extension and retraction of the pelvic cushion, and lateral bending. Manual and automatic cocking drops are optional on all sections. Another available option is automatic programmable flexion. Also, Automated Axial Distraction (AAD) can be added to create one of the best decompression components of any flexion table on the market. Practitioners everywhere have discovered that Lloyd Tables provide excellent patient comfort. And not only are Lloyd Tables built to perform day after day and year after year, but you can also choose from one of the widest selections you will find from any single source. For further information on options and pricing, call Lloyd Table Company or visit their website.